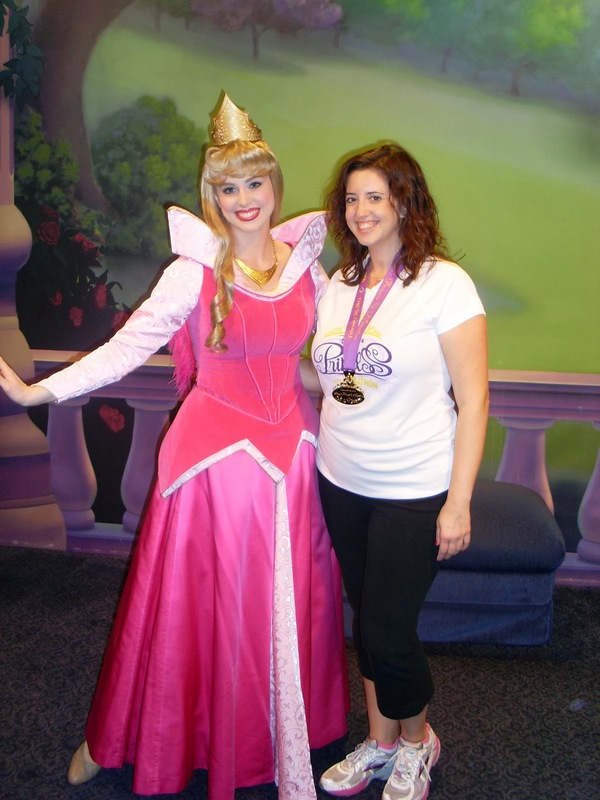 With only a few days until the sixth annual Disney Princess Half Marathon, I decided to take a run down memory lane (get it, a "run?" Ha!) 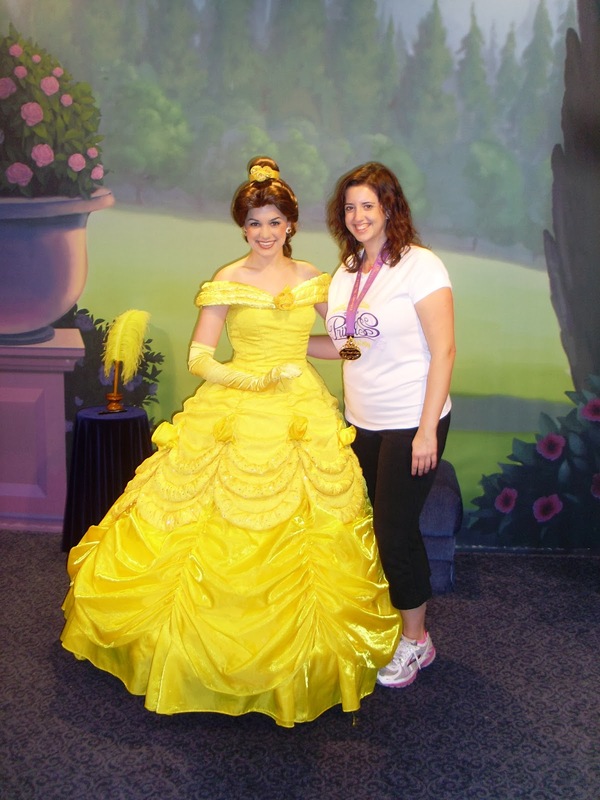 and blog about my very first half marathon. So, a little history. 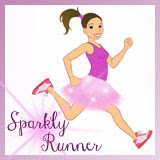 I started running in January 2010 as part of a fitness class. I would run a few times a week, a few miles at a time, just to lose some weight. 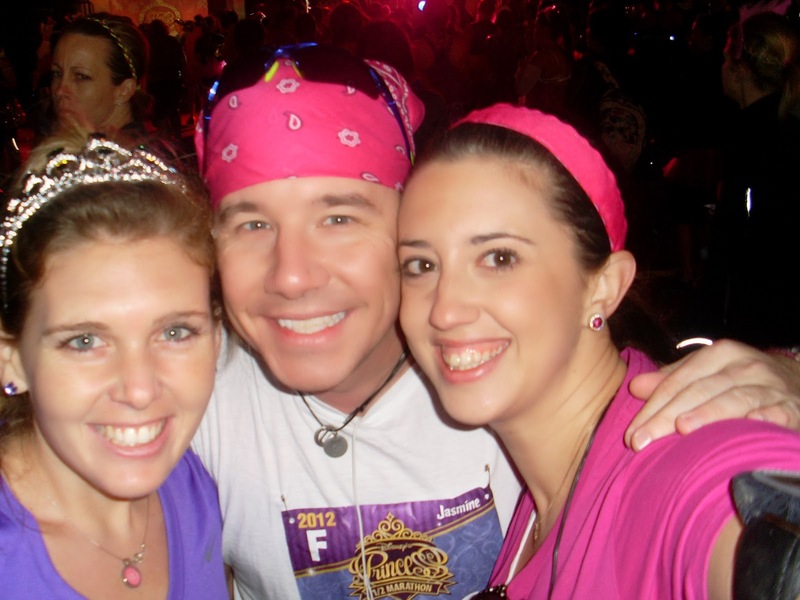 Then when I met Matthew- and watched him complete tons of races- I knew I wanted to try a 5k. 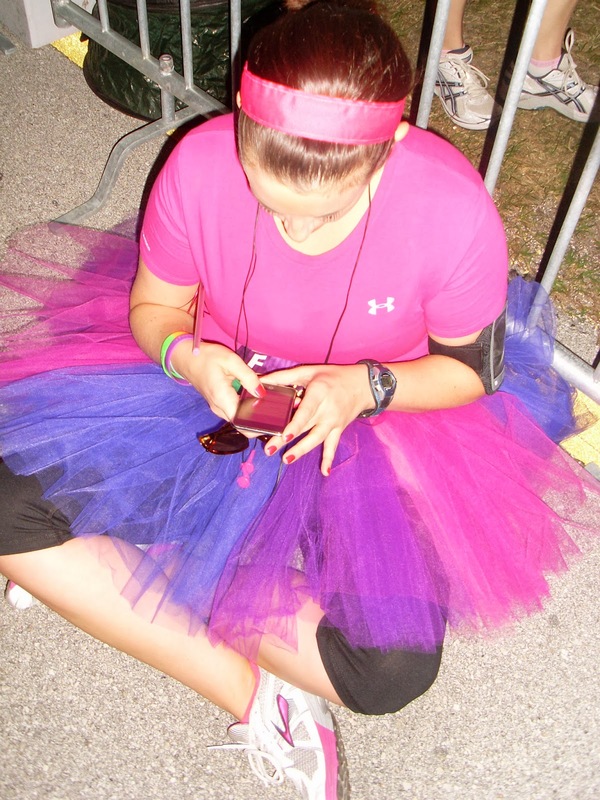 In June 2011, I ran my first 5k. I was hooked. 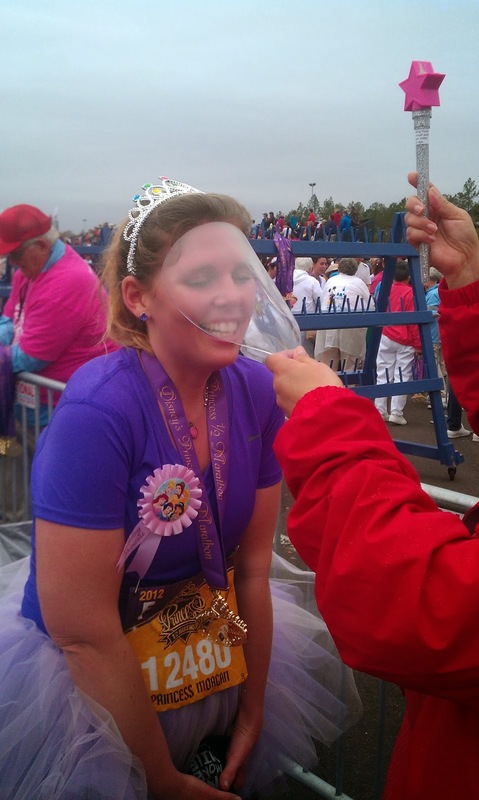 Before long, I was looking for half marathons to sign up for. 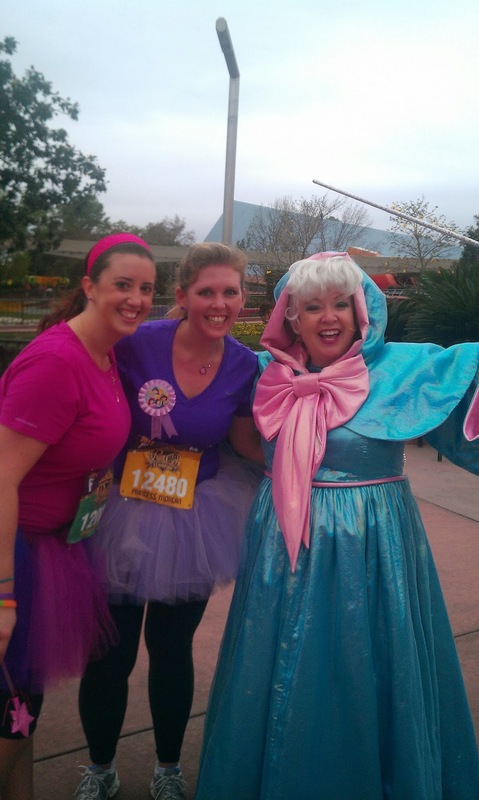 Naturally, the Disney Princess Half Marathon seemed to have everything I wanted in my first half- it was flat, in Disney, and costumes were encouraged. Also, my good friend Morgan was turning 30 on the actual day of the event so we HAD to go! Leading up to my first half, I was absolutely terrified. 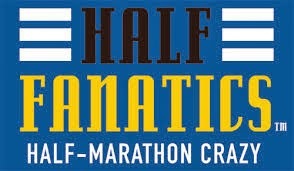 I was following a mix of Jeff Galloway's and Hal Higdon's half marathon plans. 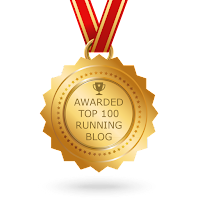 The most I ran at any time was 10 miles. I think I also did a few 8 milers. In addition to the long runs, I was running 2-3 times a week, probably 3-4 miles each time. 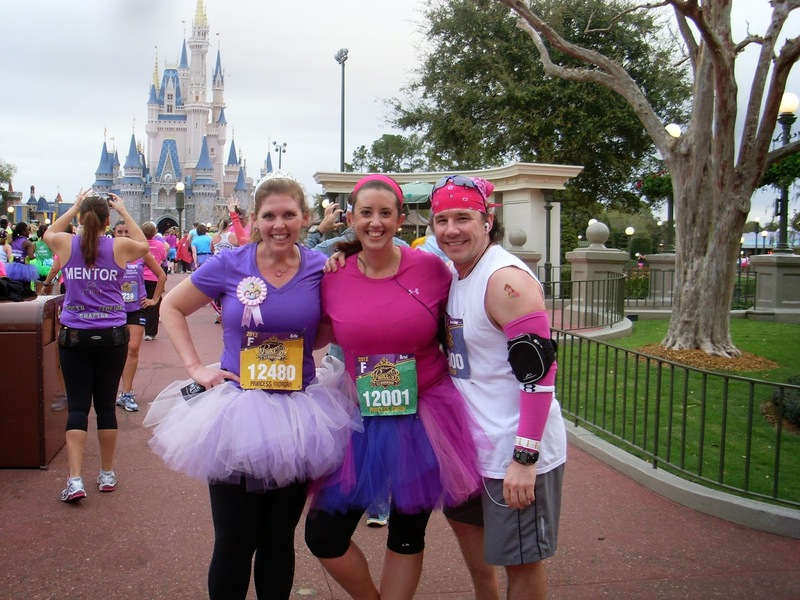 Luckily, Morgan and Matthew make awesome running partners so those first few times I ran out of my comfort zone, they knew just what to say to help me keep going. 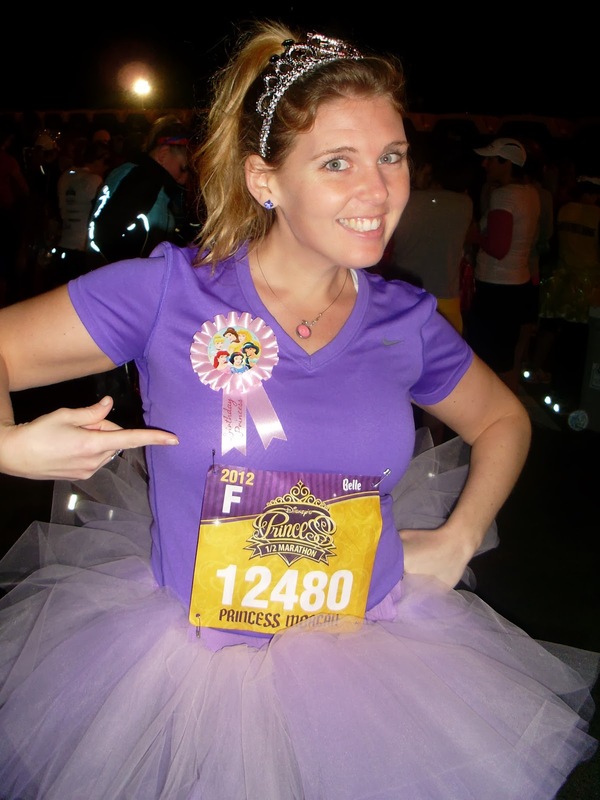 Sooner than I would have thought, it was February and time for my very first half marathon. 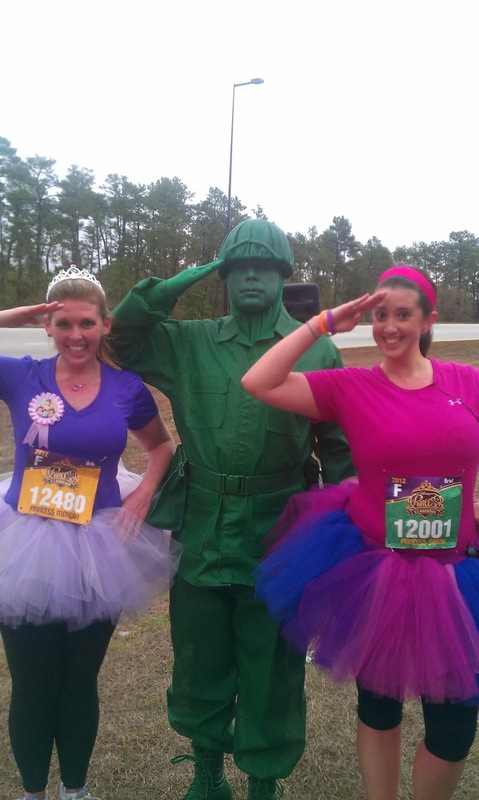 I remember thinking, "Wow, 10 miles was so tough, how in the hell am I going to be able run 3 more?!!?" 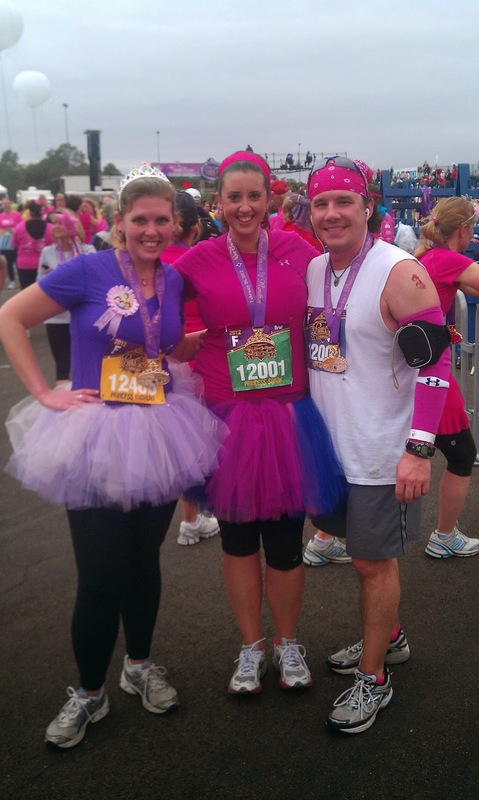 I pushed those thoughts aside and tried to enjoy the days leading up the half. The expo was amazing and overwhelming at the same time. 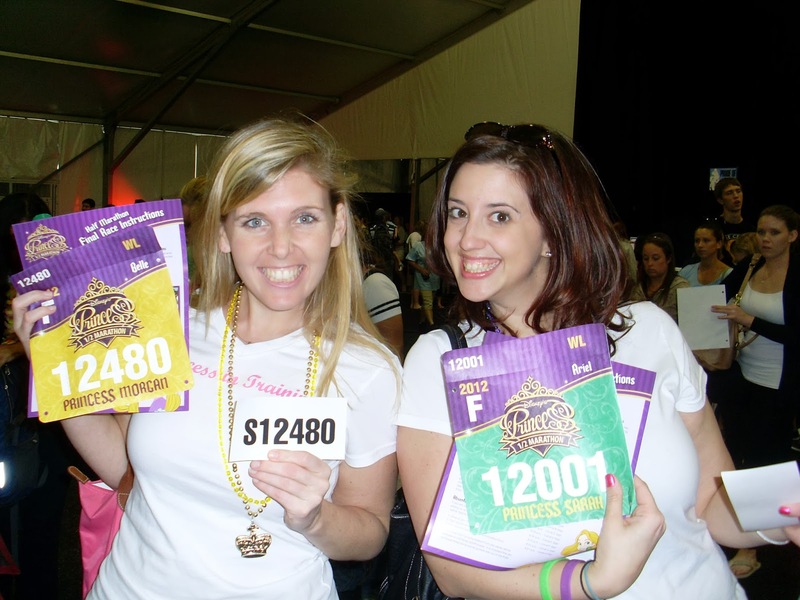 It was held at Wide World of Sports and you needed to enter multiple buildings to gather your bib, tech shirt, etc. 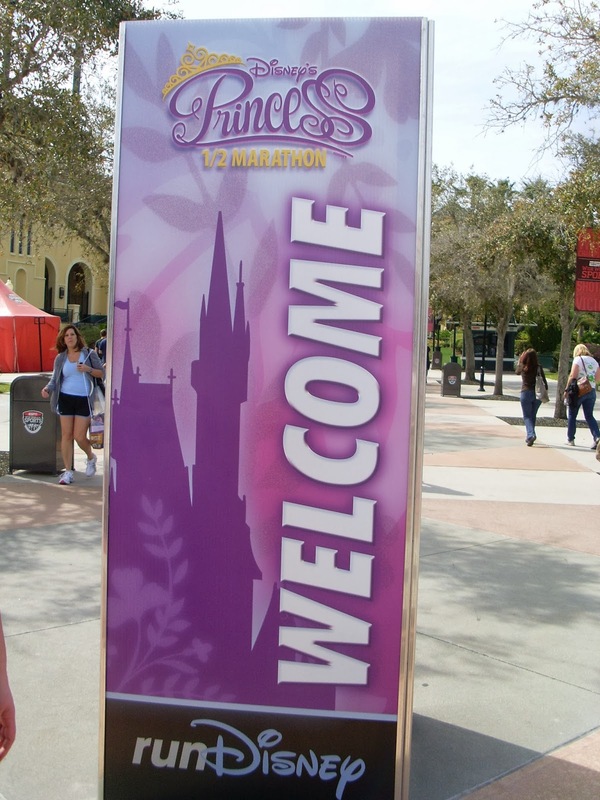 For 2013, they moved the expo to Coronado Springs Resort and from what I understand, it was a disaster. I believe it's back at WWOS for 2014. Can you tell we're excited??? 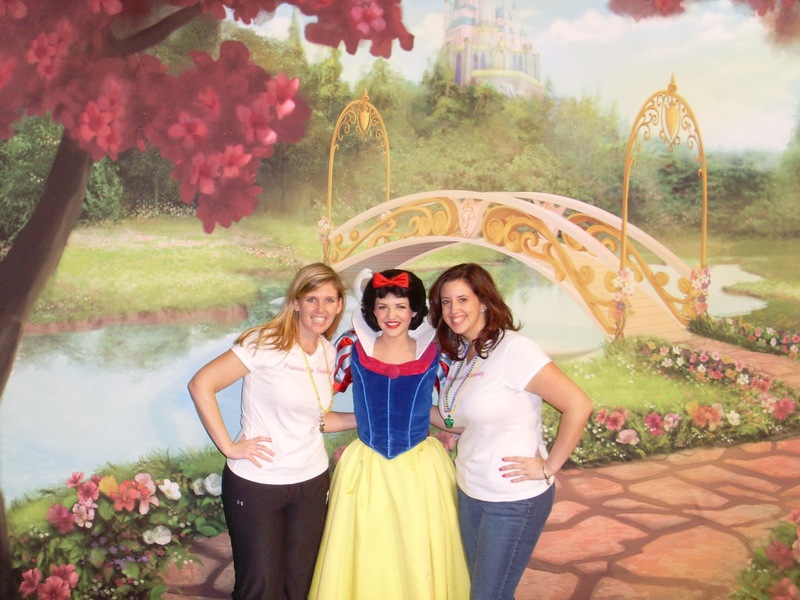 Make sure you look for characters at the expo! 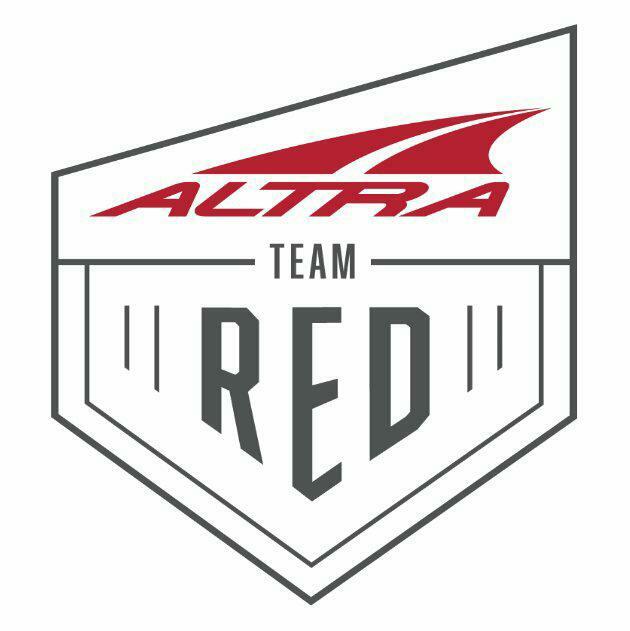 The official merchandise is always great! First time meeting Jeff Galloway. 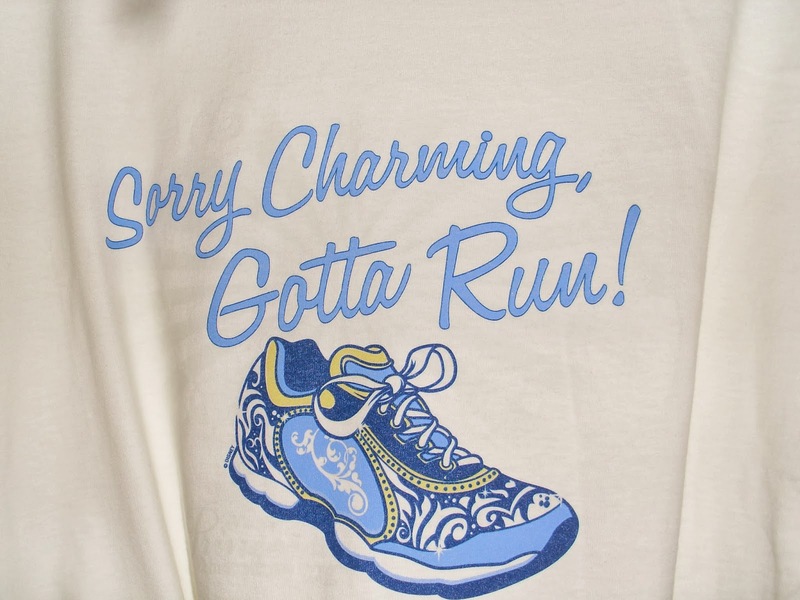 The shirts we made for this race. 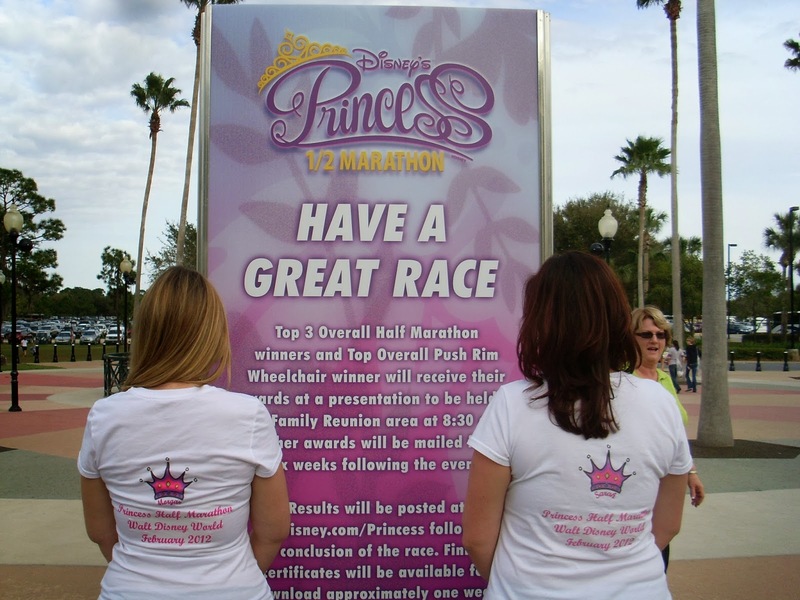 The front says "Princess in Training"
The night before the race, we had a great dinner at Port Orleans- Riverside which was just a quick walk away from our resort, Port Orleans- French Quarter. After dinner, we were in bed by 8 pm in anticipation of a 2 am wake up call! 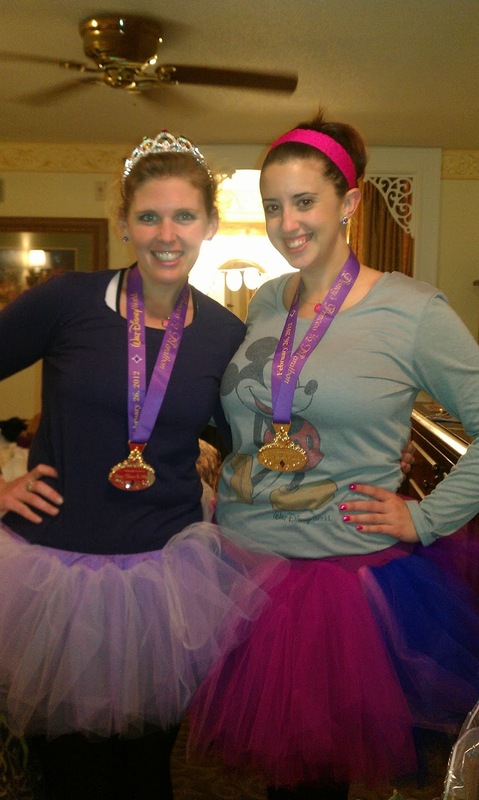 The morning of the race, we were up and out the door by 3:30 am. 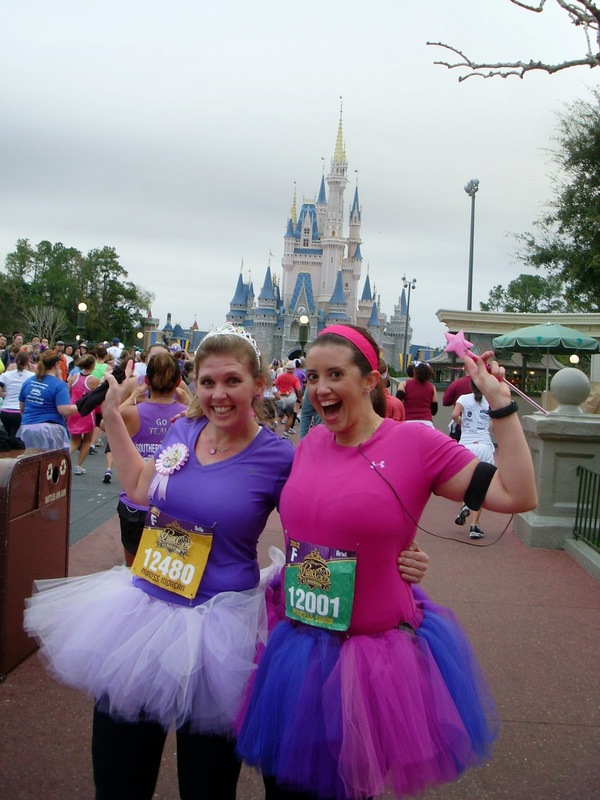 Most runDisney races start at 5:30 am and they'd like you do get into your corral by 4:30 am. We boarded the shuttles with our breakfast- the resort hotels were selling a "Runner's Breakfast Box." It had a bagel, peanut butter, a banana, and a protein bar. 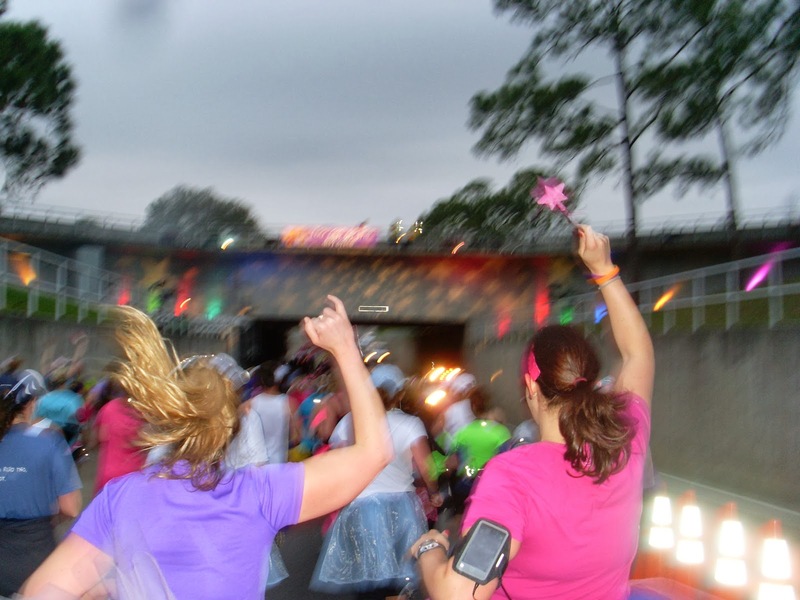 In no time at all, we were in the Epcot parking lot, making our way back to the corrals. They will tell you it takes 20 minutes to walk back there- it does. It's also slow moving as 20,000 people are all crowding on a small walk way to get back to the corrals. Try to get into your corral as early as possible. 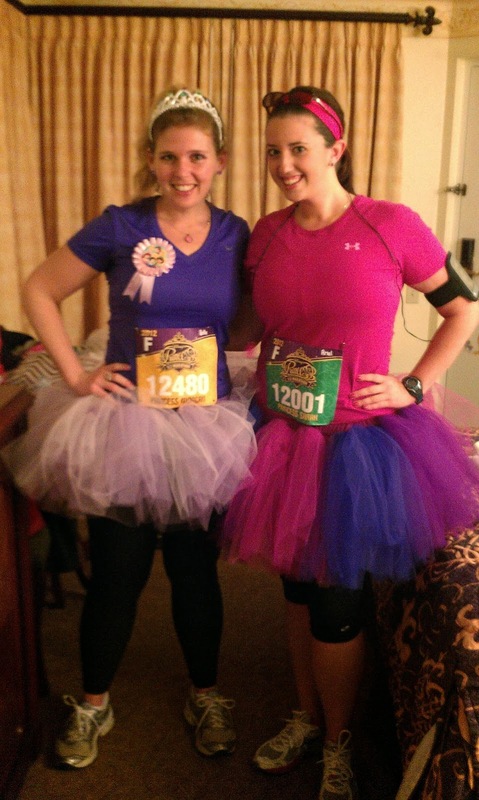 3 am and ready to run! 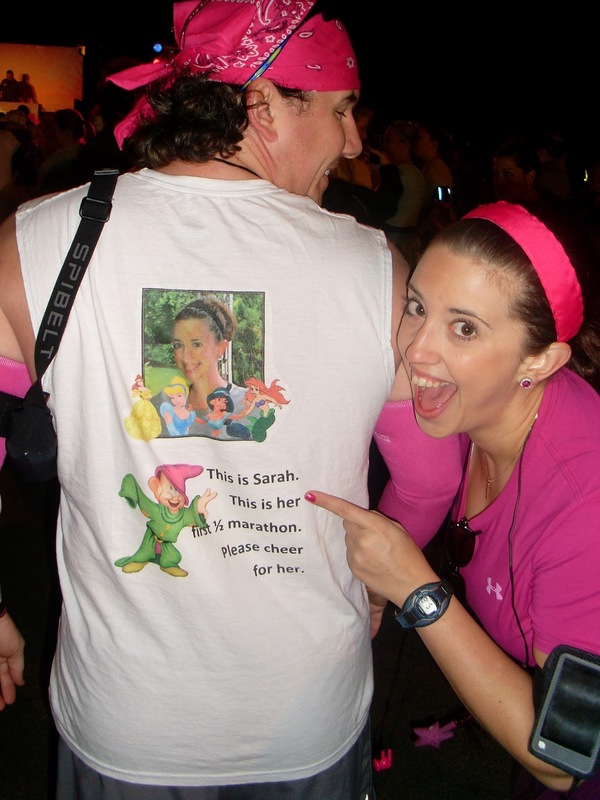 Matthew made an awesome shirt for this race. Checking my playlist that I never used! 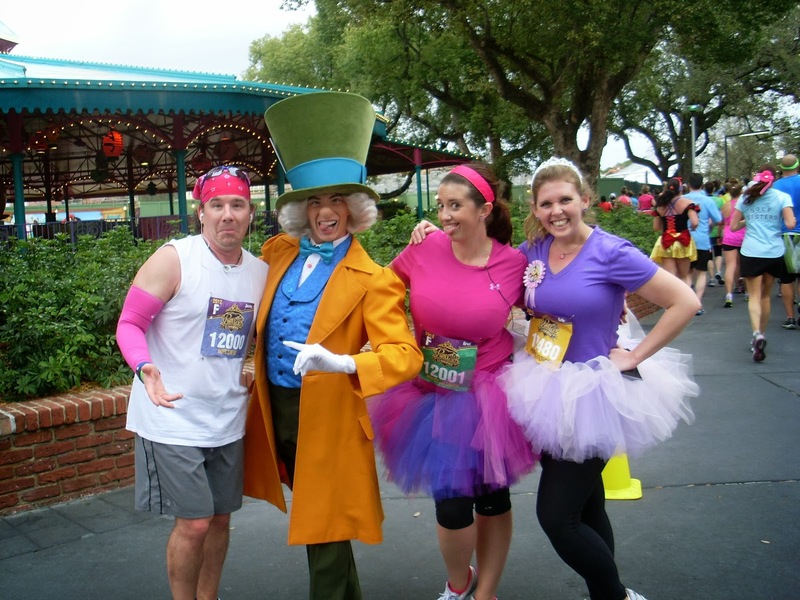 RunDisney provides SO much entertainment, I never needed the music. 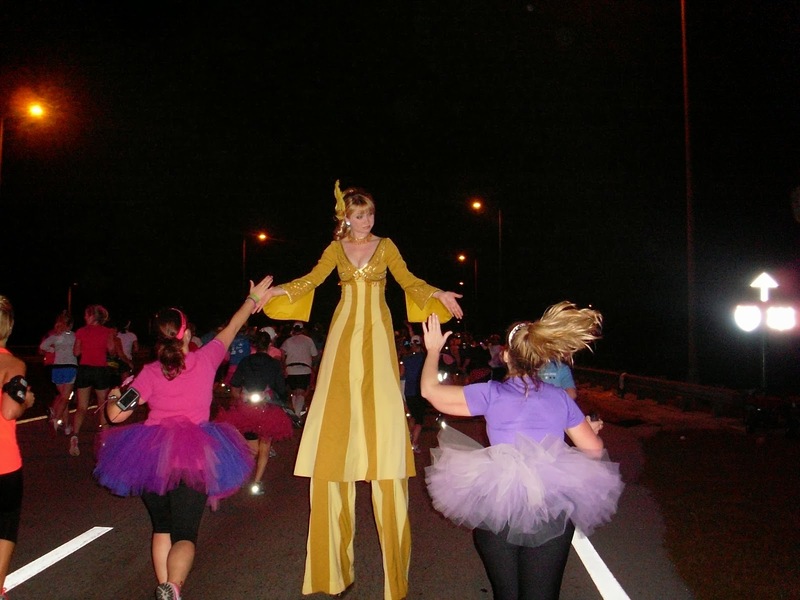 Stilt walkers around mile 2. Awesome DJ around mile 4. 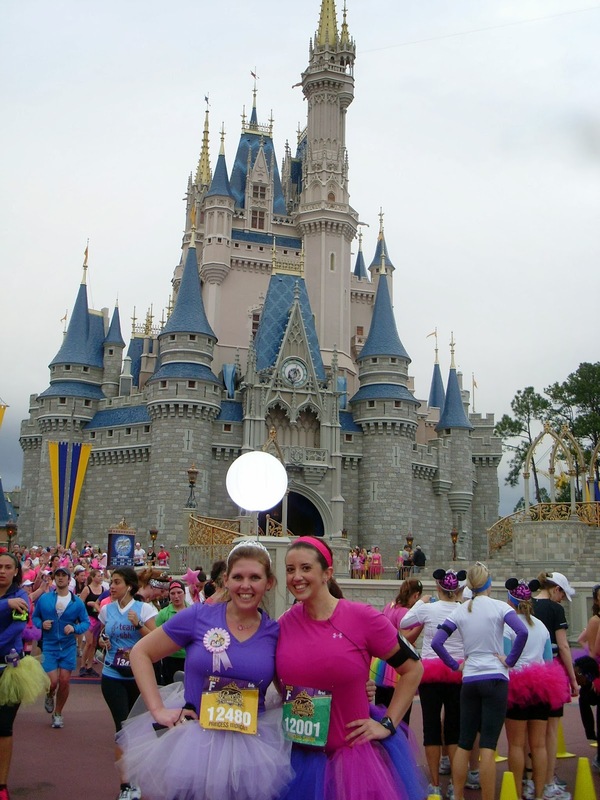 Castle pic right after mile 5. This was the best moment of the race! GREAT picture spot- right before the bridge to Tomorrowland. After running through the castle. 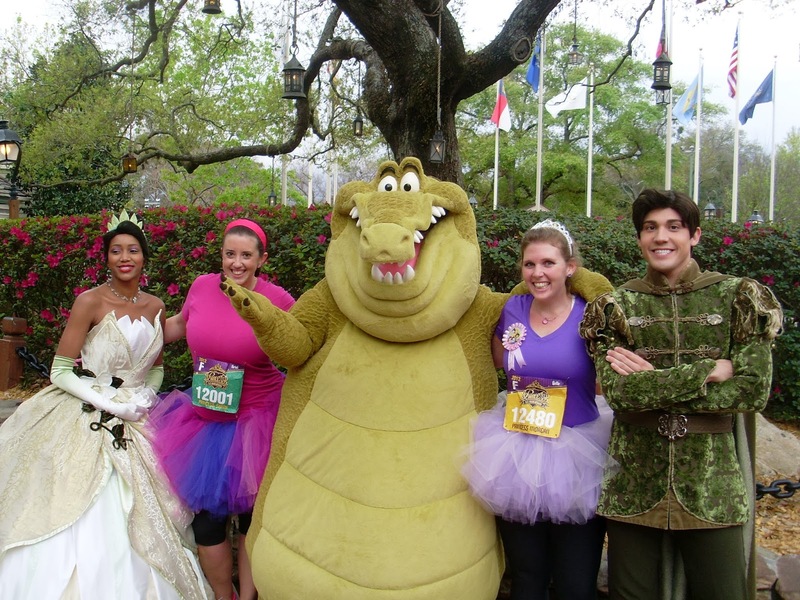 Princess Tiana, Prince Naveen, and Louis in Frontierland. 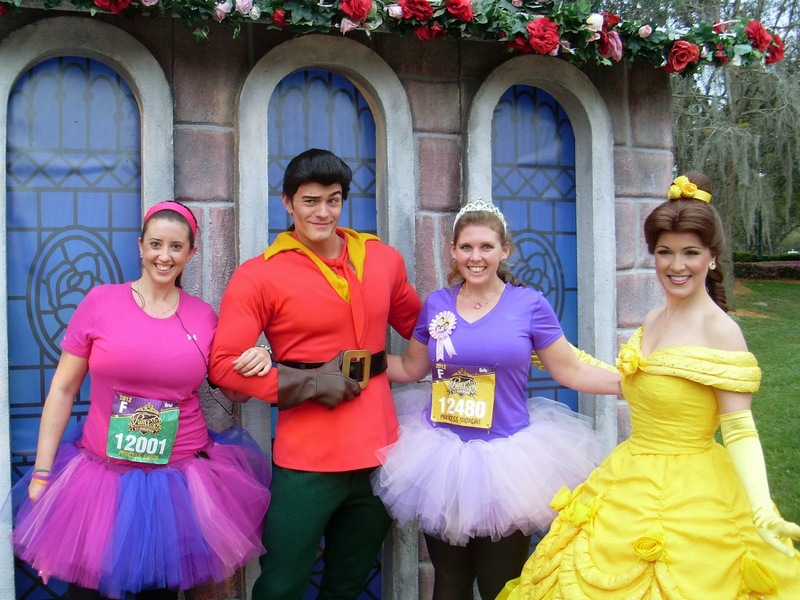 Belle and Gaston right after exiting Magic Kingdom. Just horsin around near mile 7/8! 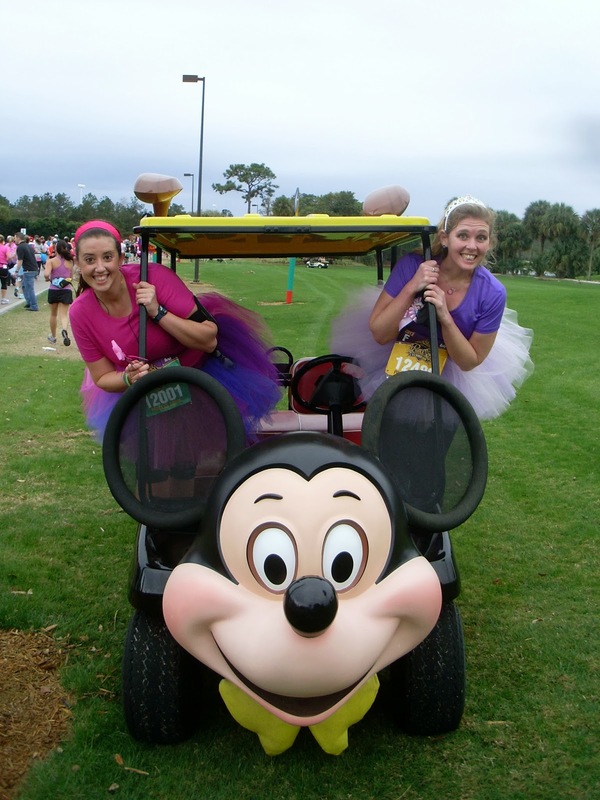 Right after the golf cart- golfing Donald! 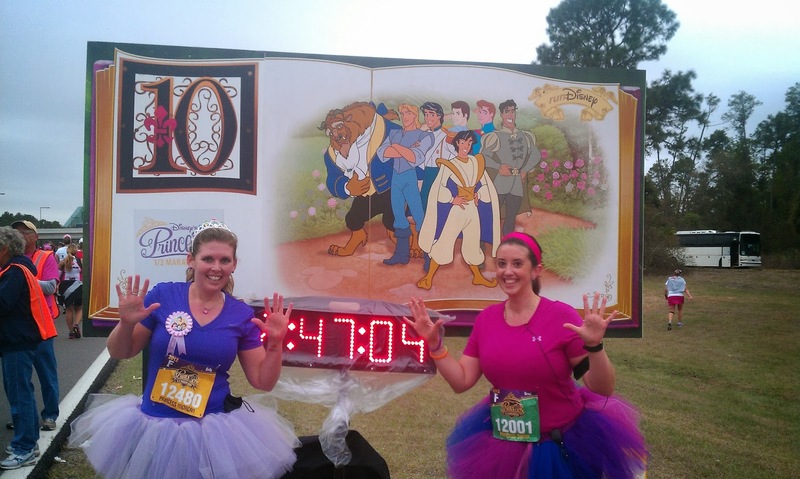 On our way back to Epcot- mile 9ish. 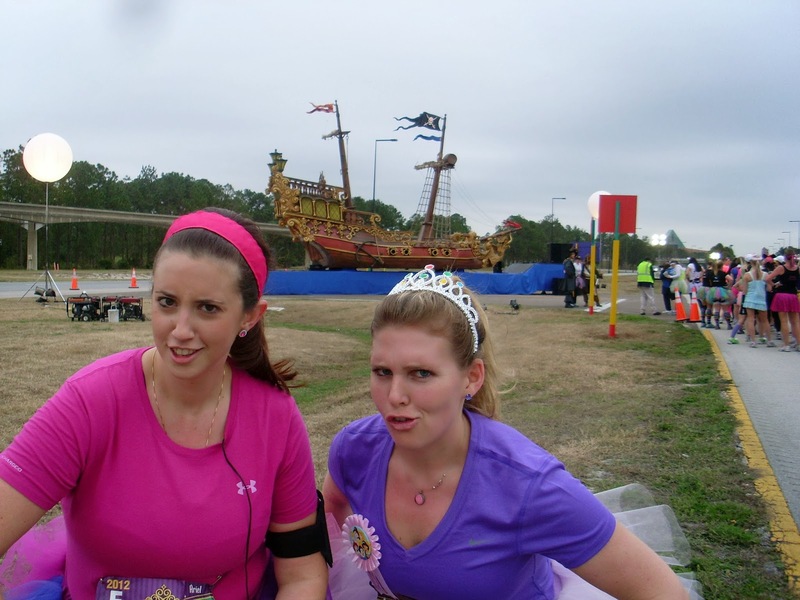 Pirate faces near mile 10! You can also see them at mile 2. Going up the ramp towards mile 11. 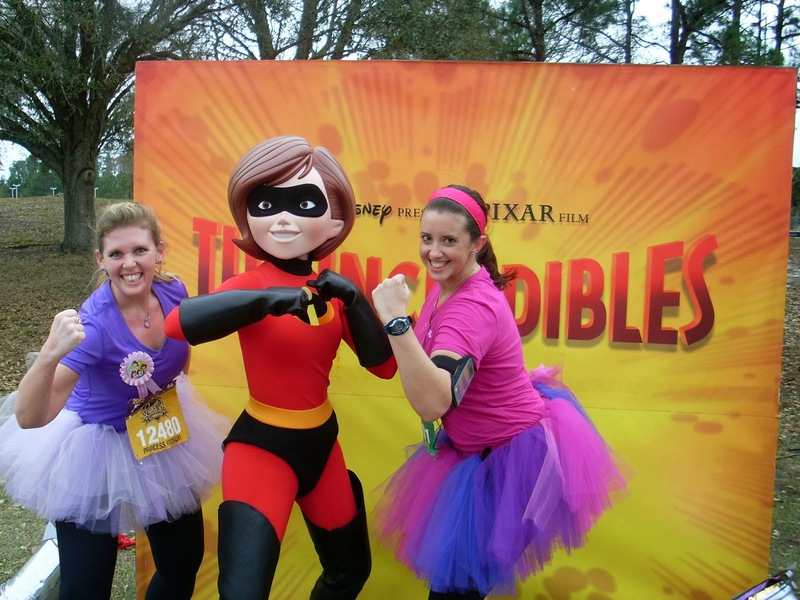 Elastigirl just before entering Epcot- around mile 12. 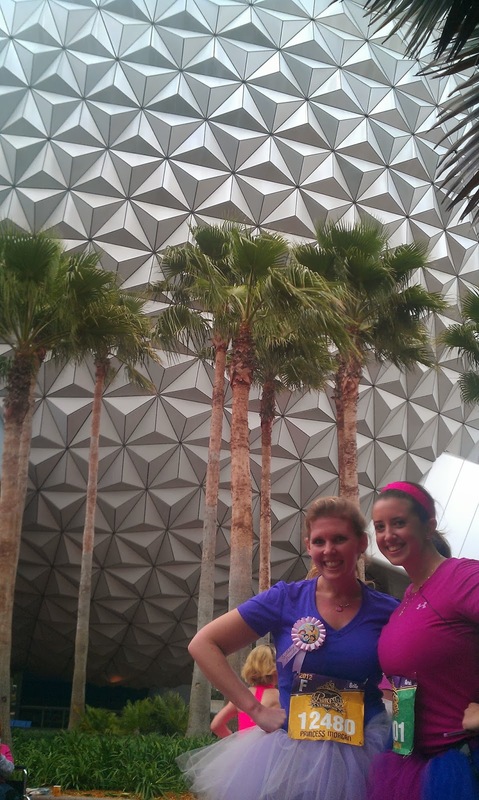 Running towards Spaceship Earth and the finish line! 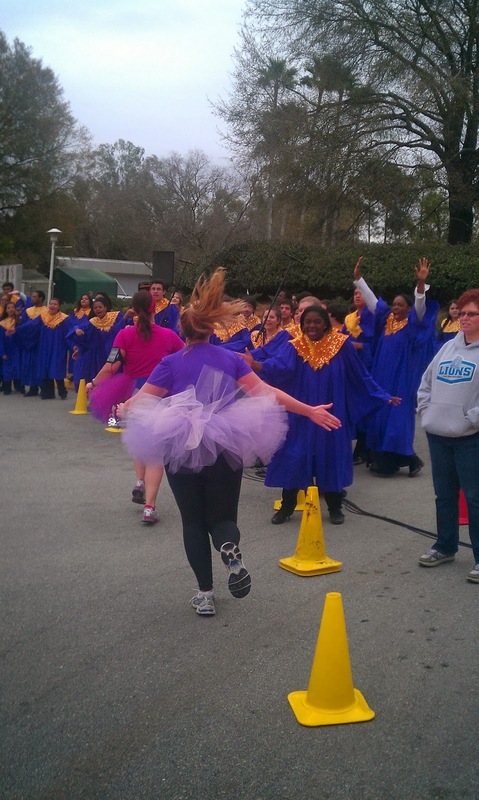 High-fiving the gospel choir just before mile 13. Just relaxing by the mile 13 marker. Getting sprinkled with pixie dust aka glitter. 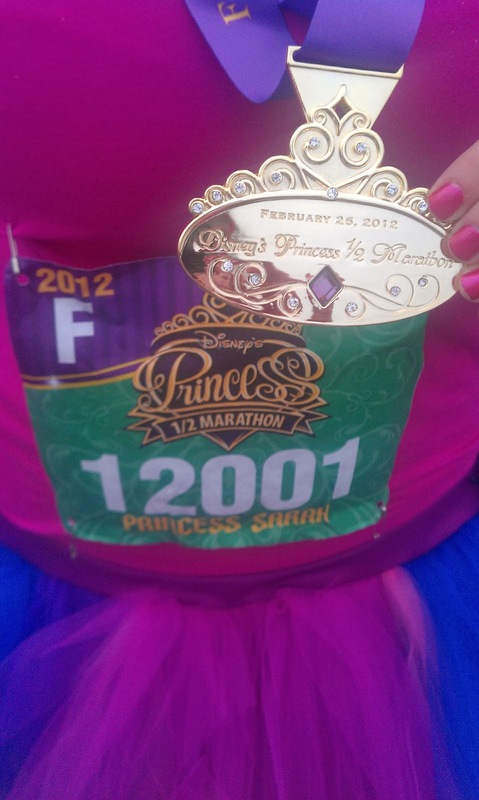 Personalized Princess bib and gorgeous medal. 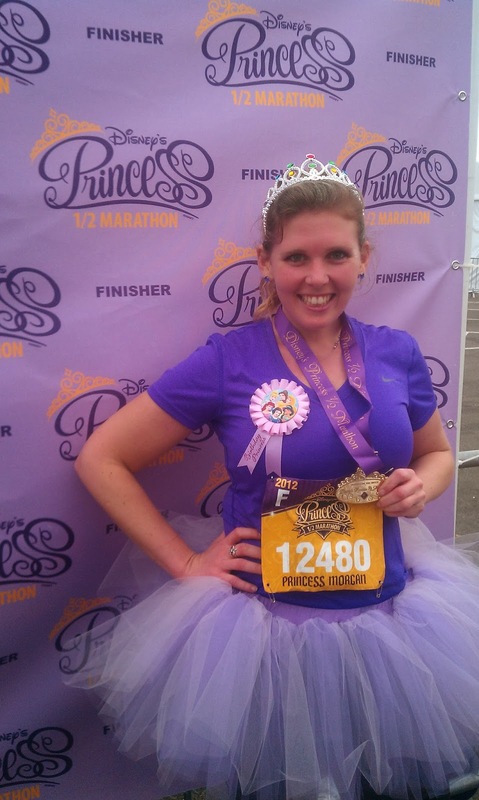 The birthday girl's 4th half marathon! Our complimentary post-race runner box. We stopped for almost every character spot. I stopped my watch every time we stopped because I wanted to know what the overall "running" time would have been. 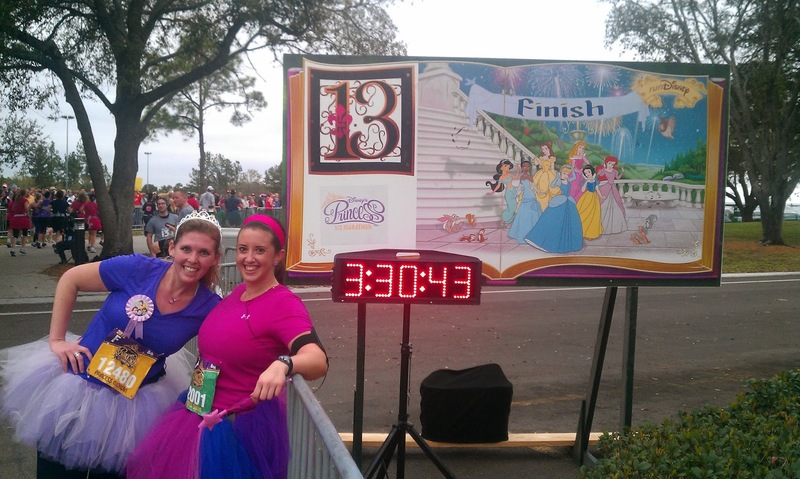 We crossed the finish line in 3:15. Without stops, it would have been somewhere around 2:50. I couldn't believe it. 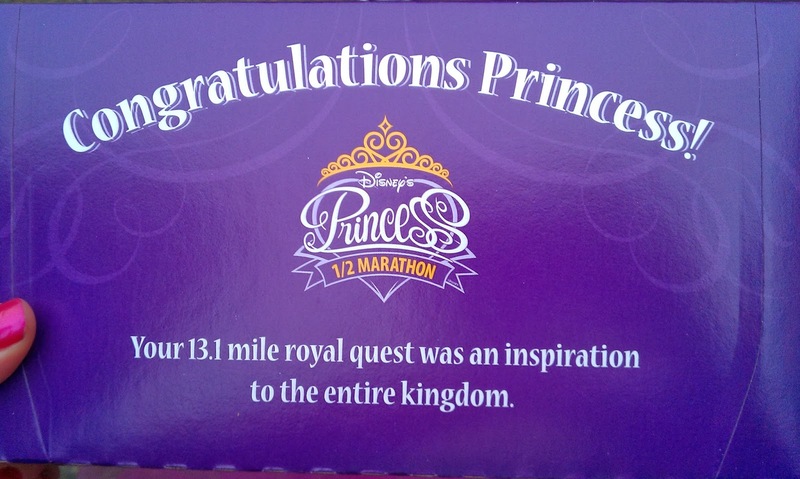 I had finished my first half marathon. 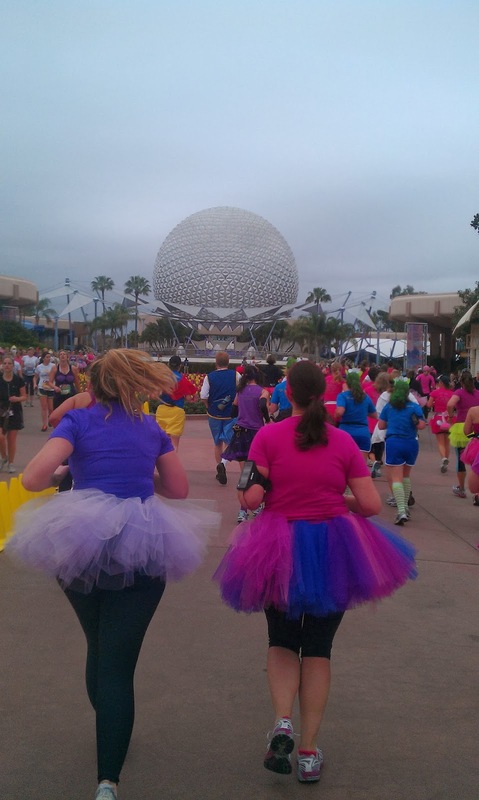 Yes, we wore the tutus to breakfast. 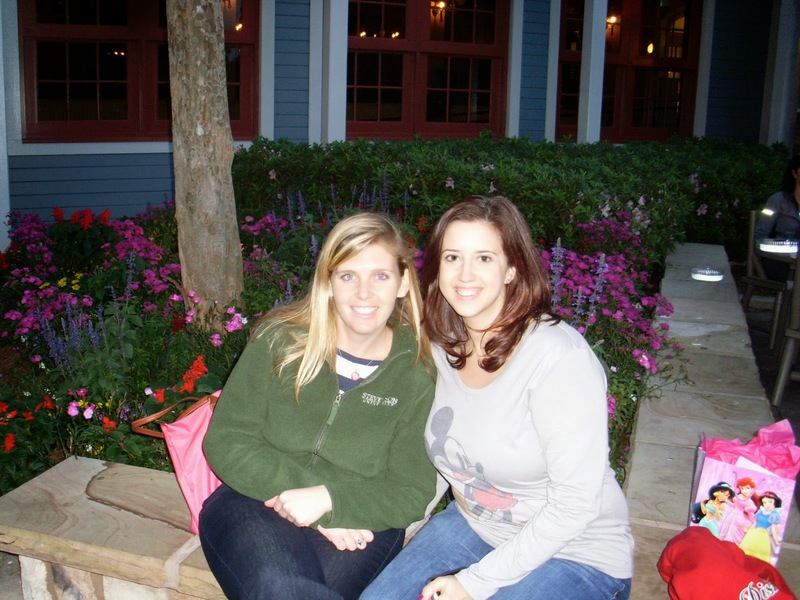 Once back at the hotel, we ate a hearty breakfast and relaxed the rest of the day including a celebratory dinner at Raglan Road- my favorite restaurant at Disney. 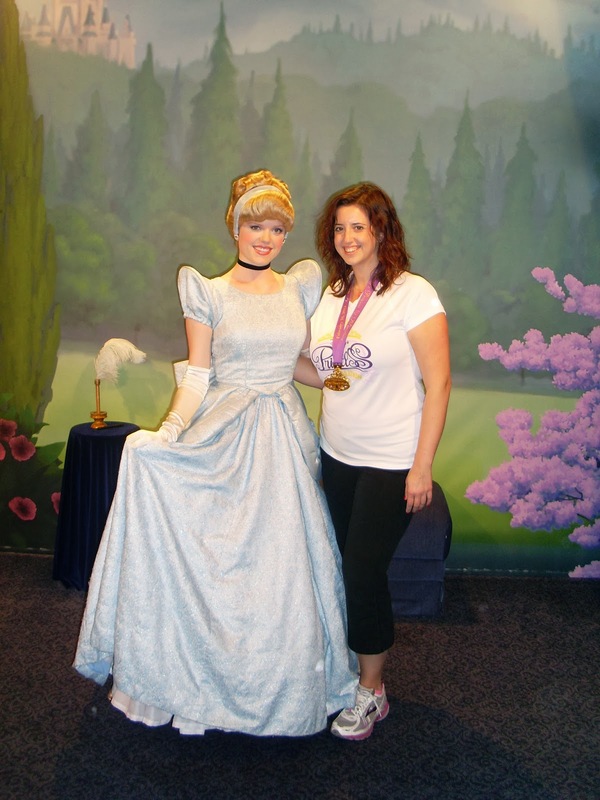 On Monday we toured the parks and showed off our medals to all the princesses we could find. We also did the Wild Africa Trek- which was incredible and I'd recommend it highly to anyone visiting Walt Disney World. 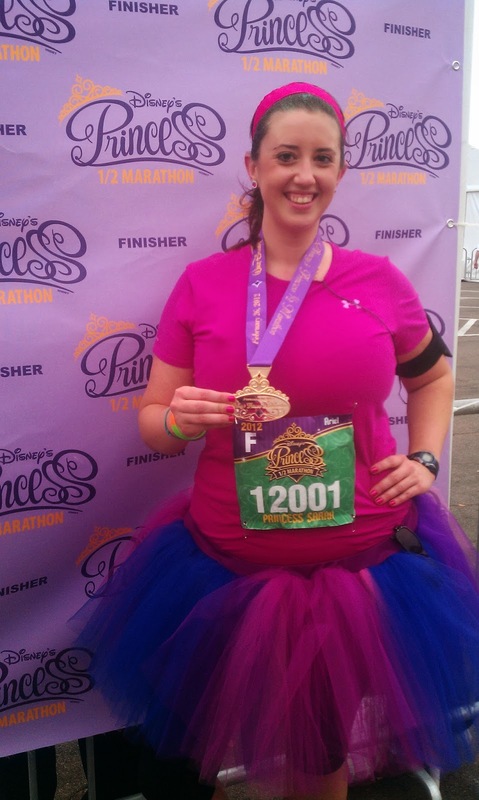 Disney's Princess Half Marathon was such a wonderful experience and I am so glad that I chose this race for my first half marathon. 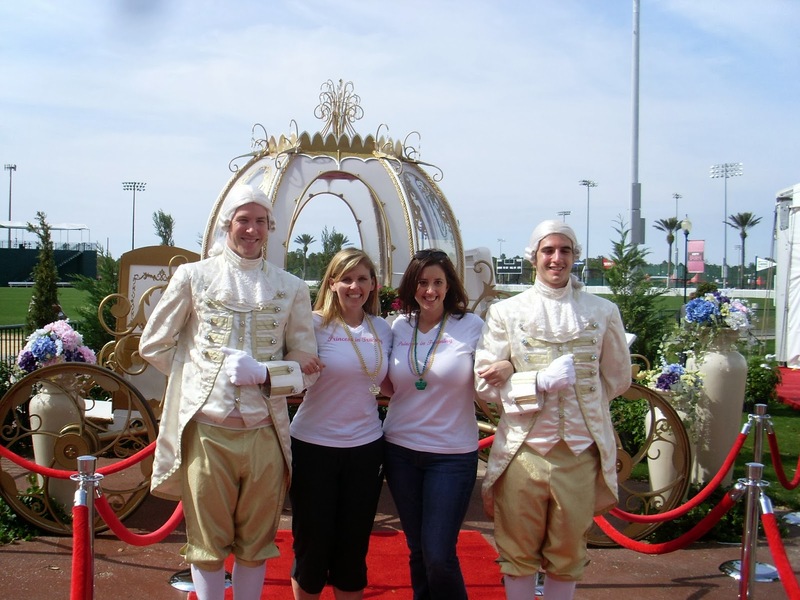 Good luck to all the princesses (and princes!) 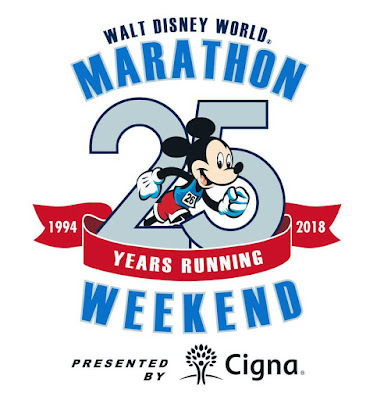 that will be running in just a few weeks- enjoy every moment! Trips down memory lane are always so much fun! I love all of your pictures. 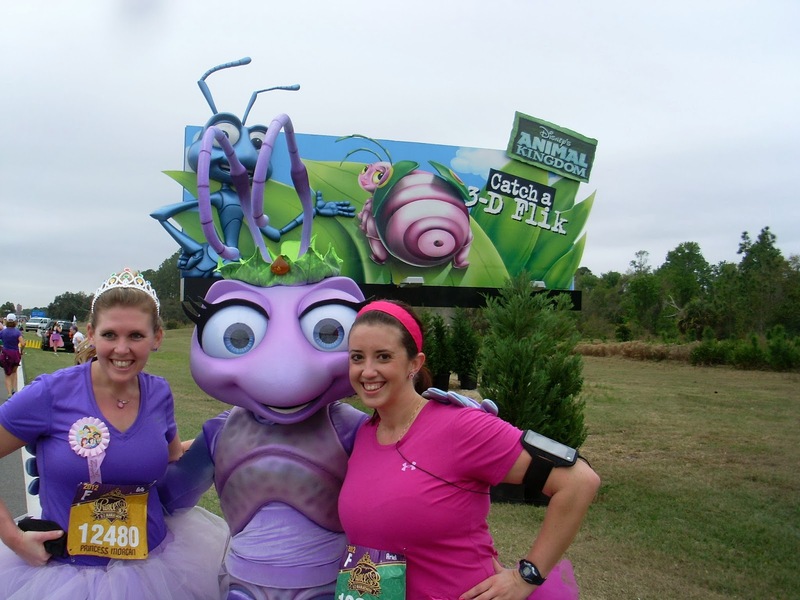 While we took a lot last month during the half marathon, I always wish I had taken even more! 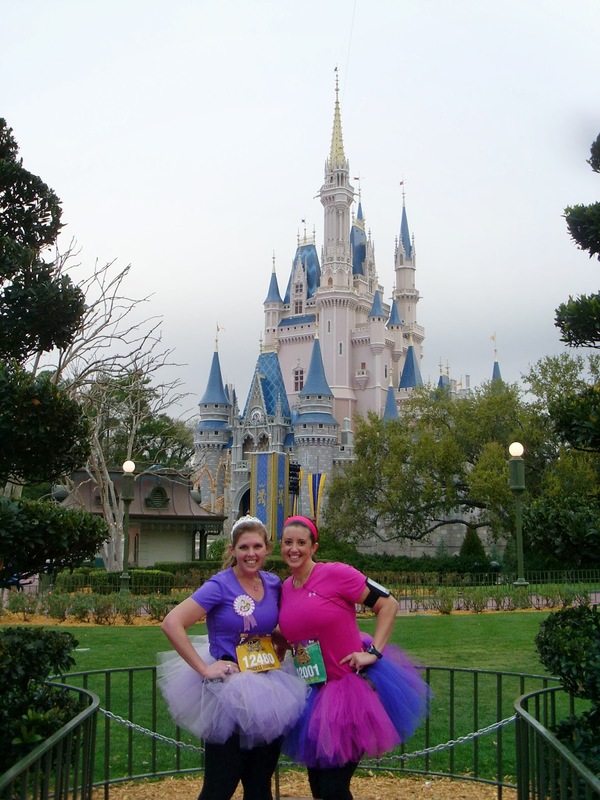 I forgot how much I loved this race- it's what made me really fall in love with all the runDisney races. Can't wait for Wine and Dine! 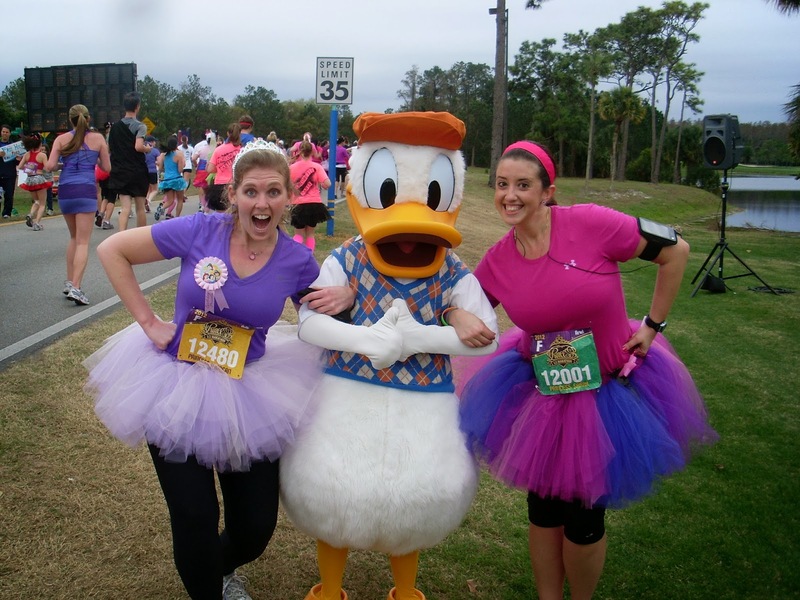 Are you considering any other runDisney races in the near future?